Did you know that it's just as important to nourish your body prior to conception as it is during pregnancy? One easy way to do that is to consume herbal blends that support hormone balance and optimize reproductive health. It's imperative that women's bodies are of the utmost health prior to conception. Conception, pregnancy, and childbirth are beautiful — yet physically demanding! Nourish yourself even before you get pregnant to help ensure a healthy baby and a healthy mama. 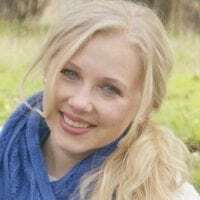 This list isn't extensive — there are many more herbs and adaptogens that enhance fertility — yet these five are both readily available and generally safe for all women. Enjoy these herbs as a warm tea, or an infusion on ice! It packs a nutritional punch, with Vitamins A, C, and K1 as well as potassium, calcium, and iron. The calcium specifically may help ease leg and other muscle spasms during pregnancy. As the name suggests, red raspberry leaf is made from the leaves of raspberries after they are dried and crushed. It contains an impressive amount of nutrients, vitamins, and antioxidants. Red raspberry leaf tones the uterine muscles with the help of an alkaloid called fragrine and minerals such as calcium, magnesium, and iron (source). This may help prevent miscarriage after conception occurs, particularly when weakness of the uterus is apparent. Peppermint leaf is rich in minerals including potassium and calcium, as well as antioxidants, which help your body stay healthy by fighting off illnesses such as fever and cough (source). Red clover (the whole plant) contains a wide spectrum of vitamins and minerals. In fact, it contains nearly every single trace mineral needed by the glandular system. It aids in detoxification of environmental pollutants (source) and was traditionally used for cardiovascular health (source). One surprising benefit of red clover's ability to improve circulatory function? Increased cervical mucus and support of uterine tissue (source)! That's why it's incredibly important to have fertile cervical mucus, and red clover is known to aid in vaginal dryness and increase cervical mucus. I know what you're thinking… Green tea has caffeine! Doesn't that go against everything you've ever heard about optimizing fertility? Yes, caffeine should be avoided during pregnancy. Yet, green tea is rich in antioxidants, B vitamins, folate, magnesium, potassium, and phosphorous — so it might actually be a good thing to have in your fertility arsenal after all (source)! Most importantly, green tea contains a specific type of antioxidants known as polyphenols. These compounds reduce inflammation and improve the flow of blood to various tissues in your body. Even though there hasn't been much research to show that green tea can help with conception its antioxidant properties are promising (source). Due to its caffeine content, however, we're using only a 1/2 part in this herbal fertility tea blend. Feel free to omit it completely if you are sensitive to caffeine. It's just as important to nourish your body prior to conception as it is during pregnancy, especially if you're trying to conceive or struggle with infertility. Nourish yourself with this homemade tea for boosting fertility! Combine all herbs and green tea, if using. Store in an airtight container away from direct sunlight. Add 1/4 cup herb blend to a coffee or tea press. Add boiling water, cover, and allow to steep for 10 minutes. 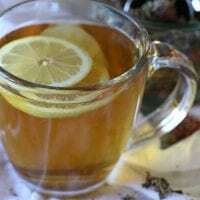 Discard used herbs, then enjoy tea in a mug with a touch of honey or a lemon slice! Add 1/2 cup herb blend to a quart-sized Mason jar. Fill with tepid water to top. Close the jar and leave at room temperature overnight. In the morning, pour infusion through a strainer into another quart-sized Mason jar. Discard herbs (or brew as a tea -- instructions above), and drink infusion as desired! Store in the refrigerator if it will not be consumed within 12 hours. 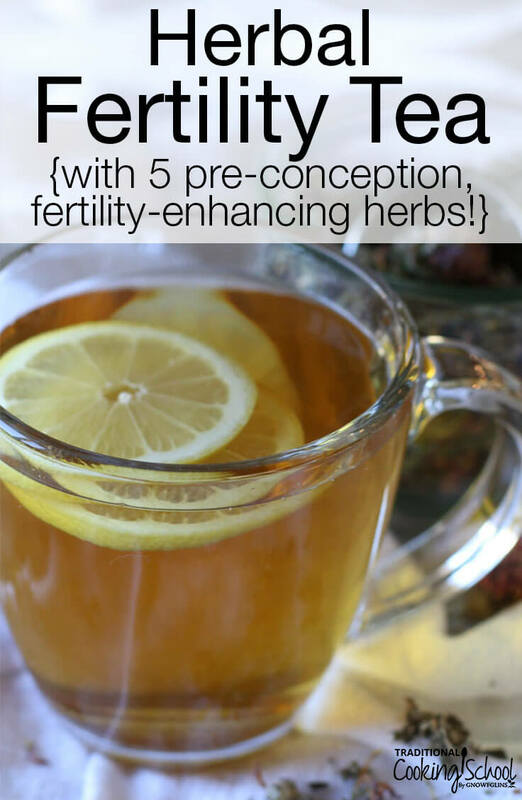 What fertility-friendly herbs would you add to this blend? Disclaimer: I’m not a doctor. All information is intended for your general knowledge only and is not a substitute for medical advice or treatment for specific medical conditions. You are responsible for your own health and for the use of any remedies, treatments, or medications you use at home. Herbs are powerful medicine. You should always speak to your health provider before ingesting any herb, especially if you are pregnant, breast-feeding, or on any other medications.